Sigrid Schottenius Cullhed et Mats Malm (éd. 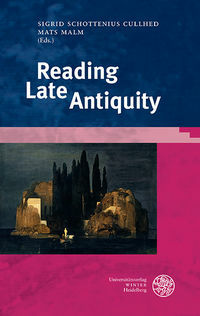 ), The Library of The Other Antiquity / Reading Late Antiquity, Heidelberg, 2018. The field of Late Antique studies has involved self-reflexion and criticism since its emergence in the late nineteenth century, but in recent years there has been a widespread desire to retrace our steps more systematically and to inquire into the millennial history of previous interpretations, historicization and uses of the end of the Greco-Roman world. This volume contributes to that enterprise. It emphasizes an aspect of Late Antiquity reception that ensues from its subordination to the Classical tradition, namely its tendency to slip in and out of western consciousness. Narratives and artifacts associated with this period have gained attention, often in times of crisis and change, and exercised influence only to disappear again. When later readers have turned to the same period and identified with what they perceive, they have tended to ascribe the feeling of relatedness to similar values and circumstances rather than to the formation of an unbroken tradition of appropriation.